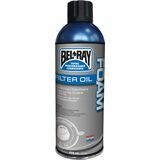 Paully - NC Thick and sticky "I’ve been using Bell Ray oil for years now. Coats well and have never had any issues with dirt getting through." Mike - San Diego Easy application easy to clean "17 thousand miles of mostly Baja dirt on my Kim 530 and never a issue with dust getting through the filter. 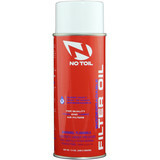 Easy filter cleaning without the use of harsh smelling chems."